Alexis Cooper had lots of options for the talent portion of the Miss Utah State University pageant. She could play the viola or the piano, she thought, or she could dance. Instead, she decided to perform a spoken-word poem about the challenges of being a woman of color on campus. People cautioned her that might not be a winning talent, but that was OK, she decided. She was there to make a point. She couldn’t see the crowd through the bright spotlight as she recited. After she finished, she heard nothing but silence. Then the crowd rose in a standing ovation. Cooper, a junior agriculture science major, was crowned Miss USU last week. Though her poem explored her difficulties on the predominantly white campus, she said her experience following the same path as her white grandmother — who was also a beauty queen and a sorority sister at USU — represents a stride forward. Her paternal grandmother, Freddie Cooper, “would tell me stories about how she wasn’t allowed to go to the front door of some clothing stores [in the South] because she was black,” Cooper recalled. 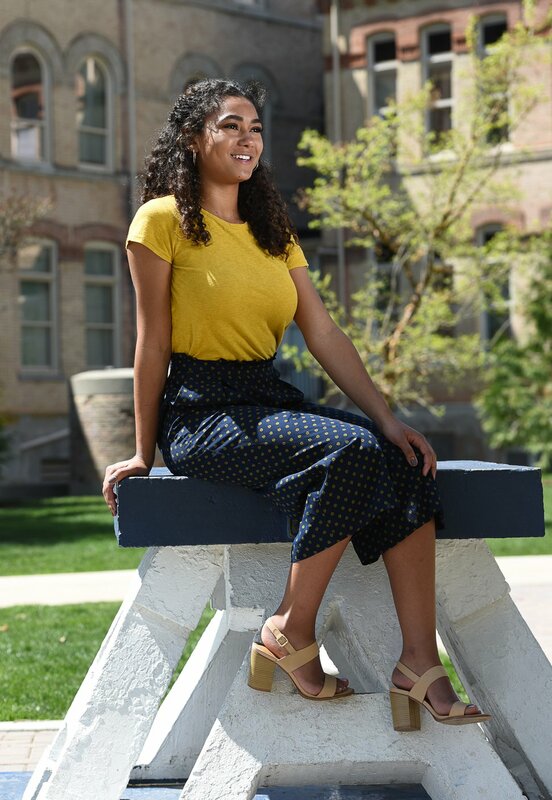 (Francisco Kjolseth | The Salt Lake Tribune) Alexis Cooper, a junior at Utah State University, was named Miss USU on Tuesday, April 17, in a beauty pageant. Recently, Cooper re-created the pose held by her grandmother Irene Heywood in the 1940s on the historic block "A" on the Aggie campus. Cooper's grandmother, later Irene Jenson, was also a Kappa Delta sorority sister and beauty queen. 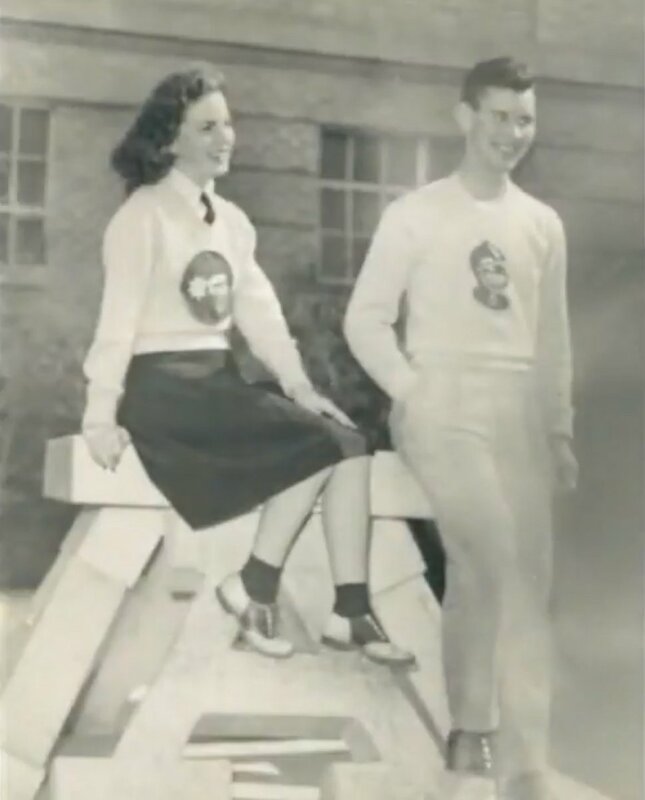 (Photo courtesy Janet Jenson) Irene Jenson was a beauty queen and Kappa Delta sorority sister when she was a student at Utah State University in the 1940s. Her granddaughter Alexis Cooper has followed in her footsteps. Meanwhile, her maternal grandmother, Irene Jenson, would tell Cooper stories about her sorority days on the Logan campus. 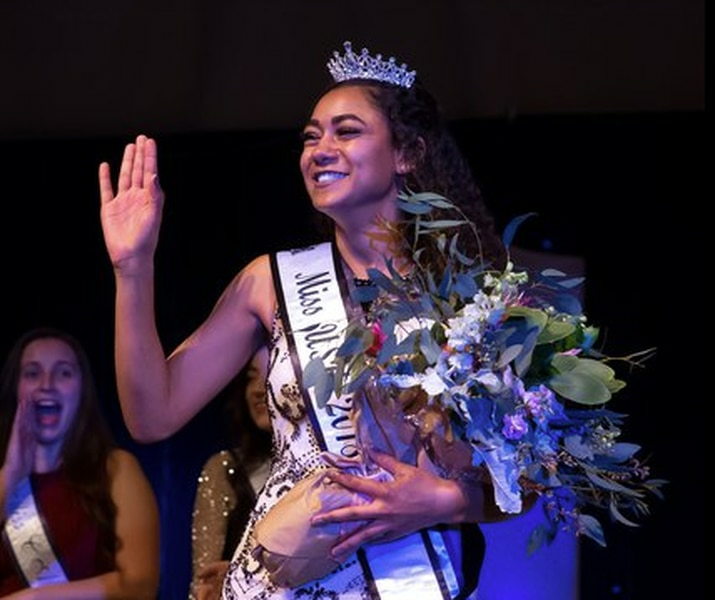 A USU spokesman said he couldn’t confirm whether a black woman had ever before been crowned as Miss USU, noting that the school doesn’t keep track of that information. The school’s student body is currently more than 85 percent white, according to enrollment numbers for spring 2018.
Cooper said she wanted to give other students insight into the everyday ignorance and racism she experiences on campus — from being judged for wearing her hair in box braids to having a former boyfriend say he didn’t want to tell his family he was dating a black girl. Many of the contestants sang or danced, but one performed magic tricks and another yodeled, according to Riley Michaelsen, a USU student and the event’s director. Lizzy Snyder, a senior who helped run the pageant, had a similar takeaway. Since the pageant, Cooper said, she’s heard from many students who were surprised by her experiences. Freddie Cooper, her paternal grandmother, went to the pageant and saw her win. Cooper thinks Jenson, her late maternal grandmother, would have been proud of her, as well. Later in life, Cooper said, Jenson realized she had been blind to racism before she helped raise a black grandchild. (Courtesy photo) Alexis Cooper's maternal grandmother, Irene Jenson, was also a beauty queen and Kappa Delta sorority sister when she was at Utah State University in the 1940s.